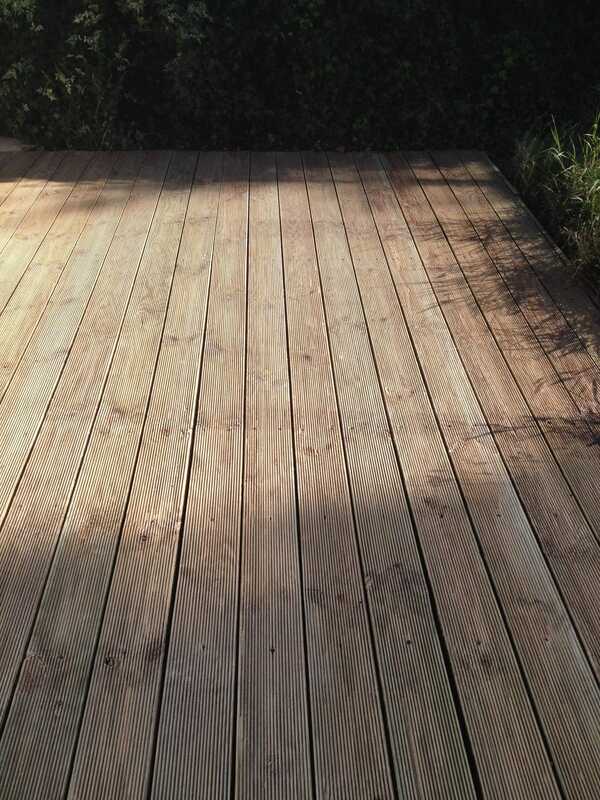 Without the proper maintenance and protection, decking can begin to look tired and dirty. Many people use their deck nearly every day in the summer and because our deck is usually placed within view of our homes, many of our customers come to us for help to find a product that will smarten up their deck and protect it from the sun. When our customers send us in photos of their beautiful, newly renovated deck, that they’ve achieved using our products, we can’t help but feel proud. 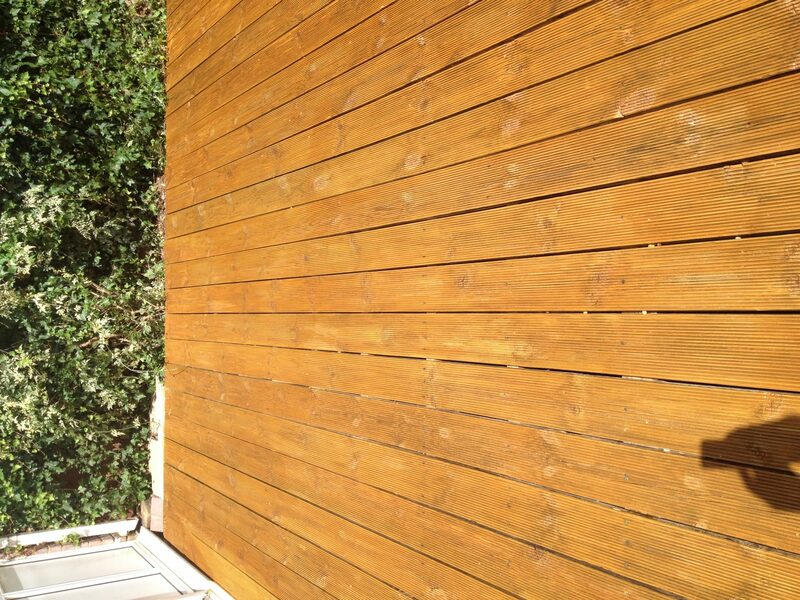 Recently, Roger emailed us these photos to show us just what a difference Owatrol products had made to his customer’s reeded deck. We think you’ll agree that the transformation is splendid. The customer used Net-Trol to lighten and restore the natural color of their weathered, grayed wood, without bleaching it. One of our favorite products, Net-Trol effortlessly removes ground in and surface dirt in as little as 15 minutes, leaving the reeded decking looking bright and vibrant. Before applying Net-Trol, Roger wet the reeded deck with clean water. 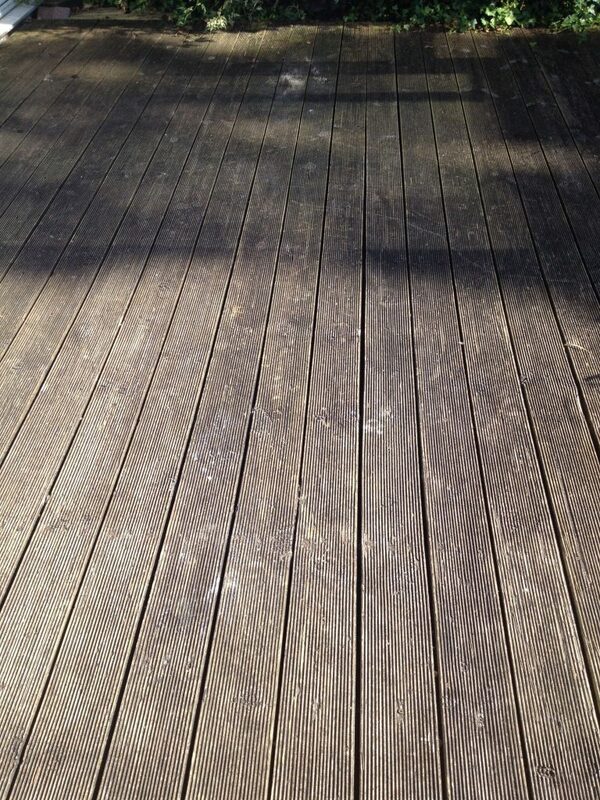 Next, he applied Net-Trol with a synthetic brush and then scrubbed the decking with a stiff synthetic brush. Roger worked to ensure that he had scrubbed the Net-Trol thoroughly into the tight grooves of the reeded decking. 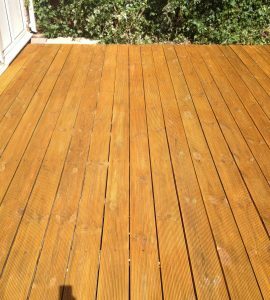 Cleaning reeded decking can often be more of a struggle than flat decking boards so do take the time to ensure the Net-Trol is worked into all of the grooves. After leaving it to stand for approximately 15-20 minutes (if it started to dry, Roger applied a mist of water to keep it wet), he used a presser washer (max. 60 bar) to clean the decking. If you don’t have a pressure washer, you could scrub the surface whilst simultaneously rinsing it with water. In this case, Roger needed to repeat the above steps once more in order to thoroughly clean the decking as it had been left for a number of years without treatment of cleaning. 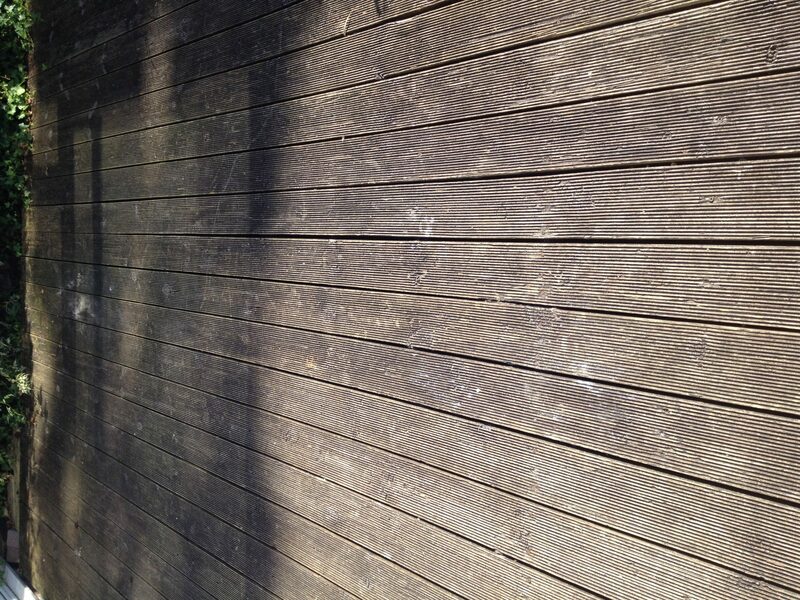 Aquadecks is a water-based penetrating wood finish that can be used on both new and weathered wood. 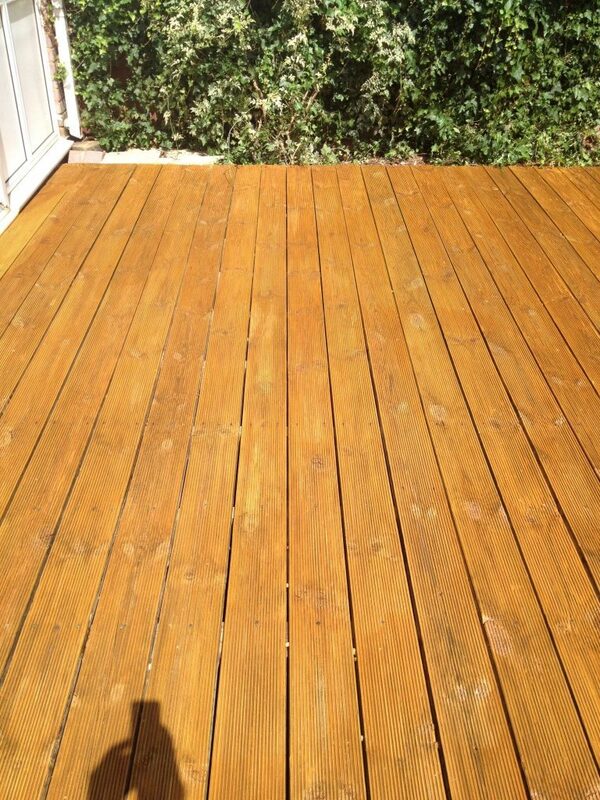 It’s easy to apply and maintain, with no labor-intensive sanding or stripping required. Roger first sectioned off the deck into areas that could be completed within 30 minutes. He then applied a liberal amount of Aquadecks with a brush, working in the direction of the grain. As soon as the ‘wet look’ of the first application had disappeared, Roger then applied the second coat of Aquadecks and allowed it to penetrate. This took around 15-20 minutes. It’s important not to let Aquadecks become touch dry between applications. Next, in order to avoid Aquadecks drying as shiny spots on the surface, he wiped up any excess that had not penetrated the decking. As Aquadecks is water-based, Roger could then wash the brush and cloth in soap and water. We think you’ll agree that the end result looks marvelous! Have you used Aquadecks for any of your renovation projects? We’d love to see your before and after photos.